As some of you may know, we have discussion forums in the Mind Tools Club. A few months ago I started a conversation about a mental health condition that people often misunderstand. One of our members, whom we’ll call George, replied to say that he was recently diagnosed with a mental health concern, too. Since then, George has been very generous in sharing more about his condition and how it impacts him at work. He has also shared with us how it affected his co-workers, how he had to educate those around him, and the plans that his organization has put in place to accommodate his condition. When George first started talking about his mental health concern, he said that he was suddenly experiencing severe anxiety attacks. He didn’t understand what was happening, and neither did the people around him. At first he, and the people closest to him, merely tried to cope. They hoped it would go away. But the frequency of the attacks increased, and the added stress of not knowing when the next one would come, or how severe it would be, prompted him to seek help. What makes George’s situation particularly tricky is that he works with clients. Because he can’t preempt an anxiety attack, he’s had to put measures in place that help him to cope with the situation without alarming his clients. There was also one time when he had to get out of the building suddenly while a client was waiting to see him. George says, “I recommend that anyone who has similar symptoms that incapacitate them at work should have a designated, trusted ‘buddy’ to confide in, and as a ‘go-to’ when the symptoms become unmanageable. I also recommend having a protocol in place for when the staff member needs to remove themselves from the workplace, and backup staff who know how to manage any scheduled appointments in their absence. George has also learned to be flexible about the condition, so that when an attack strikes he can manage it better. His managers and trusted colleagues (not everybody knows) have also learned to become more flexible and accepting, because nothing, in this case, is predictable. George is not alone in his struggle. That’s why, last week, we used our #MTtalk Twitter chat to discuss the impact of mental health issues at work. We hope that by talking about these issues, openly and honestly, we can raise awareness and help to eradicate the stigma that is often still attached to them. Q1. As a manager, what can you do to support an employee with a mental health illness? @JoynicoleM: Listen. Get informed. It’s important to understand any challenges and necessary accommodations. Support and respect them and fight unconscious bias! Q2. How does a manager handle an employee’s mental health issues and preserve confidentiality? What do you do when the confidentiality of an employee’s illness has been breached? @LorenMargolis: Confidentiality and discretion are paramount both for trust, ethics and potential legal reasons. If breaches, share with the employee immediately and confidentially and discreetly seek guidance from HR. @Midgie_MT: Other employees do not need to know the details, other than there is a valid need to make adjustments or to accommodate the person. Q3. How do you handle team members who complain when taking on extra work to accommodate a colleague with a mental health illness? @Jikster2009: As the organisation I work for has very clear Health & Wellbeing guidelines and a culture of supporting each other, I would expect the colleague to be empathetic and discuss what challenges they are facing with their increased workload. @Leadershipz: Trust and collaboration needs to be present within the team ahead of time for the team to function at high level. With #interdependence, team members won’t be bothered with temporary extra work without needing to know why. Q4. Where do you draw the line between acceptable and unacceptable impact on the team? @JKatzaman: The line between acceptable and unacceptable impact upon the team is when morale suffers, the atmosphere threatens to become toxic and productivity suffers. @harrisonia: If a person’s mental illness is creating a domino effect of decreased productivity, it’s time to draw the line and bring in a mental health professional to diffuse or address the situation. Q5. What kind of comments/questions should you avoid when talking to a colleague about his/her mental health issue? @BrainBlenderTec: When do you think you’ll be cured? Is there a pill you can take? Listen more, talk less; most times the best help is knowing someone is in your corner. @Yolande_MT: Don’t become their coach, mother or advisor. That’s not your role to play, unless they specifically ask you. Also, if they asked you for help today, it doesn’t mean you should intrude in their privacy tomorrow. Show some discretion. Q6. If you’re the manager, how honest should you be with your team if you have a mental health issue? @KrisGiere: This depends on where you are at with your own understanding and coping with it. Are you comfortable being a self-advocate? Are you ready to field questions? Take care of yourself first, so that you can be honest with others in time. @jeremypmurphy: Managers owe their employees some basic duty of transparency, maybe to the extent of: “I’m struggling with this/encountering unexpected challenges.” But don’t be too specific or it can negatively affect employees’ health, carrying manager’s new burden(s). Q7. If you have a mental health issue that sometimes impacts your ability to work, how might you raise it with your manager? @SailorsBen: I feel that your relationship with your boss is the most important aspect of this question. Depending on the relationship, if you have trust, you can disclose things you’re comfortable with. Otherwise I would just express that you have health challenges that need care. @ShereesePubHlth: You raise it with human resources, as a protective measure. Human resources will inform your manager on a “least amount of info needed to ensure continued work force [basis]”. There should be a clear policy for this. @SaifuRizvi: It would be easier to open up to a manager whom you believe is a human first and a manager second. Q8. How can you help others understand your mental health issue and how can you best respond to people who minimize it? @MicheleDD_MT: Talk about your experience and educate others about it. Talking about it increases understanding… many will apologize for their ignorance or insensitivity when you do. @bodytextpro: It can be a massive additional burden for the sufferer to have to educate their manager/HR dept, but staying silent doesn’t help! Sometimes you have to fall back on information from online advocacy/support groups to do the talking for you. Q9. What would you do if your mental health issues were caused by work? At Mind Tools, we try to encourage people to explore alternative solutions to workplace problems before making the decision to quit. However, it was interesting to see just how many people said that they’d leave their job because they valued their mental health over it. @GenePetrovLMC: To me, it would be worth it to leave that work. I wouldn’t want the work-induced illness to cause issues in other parts of my life – family, for instance. @d78stock: I’d approach my manager about my health challenges and explain that I identified work as the main source and ask if adjustments can be made. If there wasn’t understanding and support I’d go to higher up. If again I had no luck I would go to HR or consider leaving. @BrainBlenderTec: This is where you waltz out the door, as you can have many jobs but only one life – so be happy as much as you can. Q10. What can you do in your workplace to help destigmatize mental health issues? @Yolande_MT: Watch your language. Don’t refer to a person as their illness. You don’t say, “John is flu.” Why do you say “John is bipolar”? “John has flu” and “John has bipolar disorder.” A person’s illness isn’t their total existence – it’s one part. @Abby2810: Regularly talk about it and provide tools to support people in the workplace. Encourage openness and a non-judgemental culture to develop the trust from your workforce. @TwinkleTutoring: When you feel well, challenge stigma when you see/hear it. Campaign. Raise awareness. Support others who are struggling and be the example to those who do not seem to understand MH. Do not collude with colleagues who maintain the stigma. To read all the tweets, have a look at the Storify summary of the chat, here. Warning: You should take the advice of suitably qualified health professionals if you have any concerns over your mental health. Mental health issues are a reality that many of us live with, and it’s often something that we prefer to keep hidden. So, what do you do when you go for a job interview and you have a mental health illness that sometimes has an impact on your ability to perform at work? Do you disclose it, or keep quiet? The topic for our next #MTtalk chat on February 16 will be “Recruitment Truth and Lies.” So, in this week’s poll, we’d like to know what you think people lie about most often during job interviews. Click here to cast your vote. 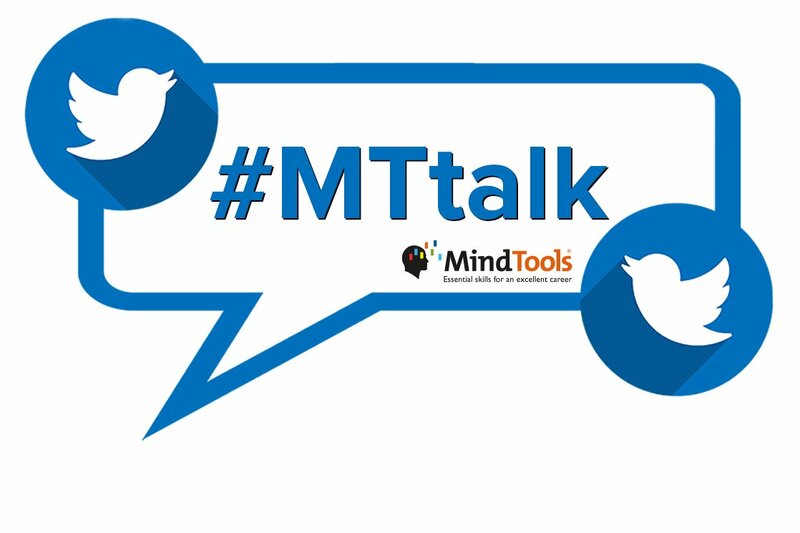 Great to hear Andrea that the summary from our #MTtalk is interesting for you and that you will use it as a basis for your discussions during the Mental Health Awareness day. Good luck with that and if you want to share any insights from your discussions, we would be very happy to hear them! Congratulations also on becoming a Mental Health Minder. Good luck.